Communal pool area for use of all gites. 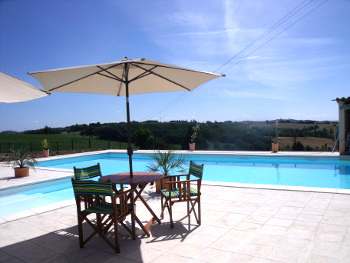 14x 6m pool set in 3000M² of land with stunning views over the countryside. Sun loungers and tables postioned all around. Table tennis and children's games available. Toilet and shower on site. Pool open May to October.